How do I borrow from the Snell Library? Look up the resource you need in Scholar OneSearch, our online catalog. The resource may be available online or in print. For an item in our online collections, follow the link in Scholar OneSearch to view it in your browser. To find an item in our physical collections, use the bold call number to find resources in the stacks. Once you find the item you are looking for in the stacks, bring it down to the Help and Information Desk or self-check machines on Level 1 to borrow it with your Husky Card. How do I borrow laptops, cameras, and other equipment? Find out more about equipment available to current students, faculty, and staff at the Help and Information Desk. How long can I keep a Snell Library item? Select your affiliation from the list below to learn more about your borrowing privileges including loan periods and fines. I can’t find the resource I need in Scholar OneSearch—am I out of luck? Not necessarily! Use Interlibrary Loan to order resources that are not available at the Northeastern University Libraries. What are my borrowing responsibilities? 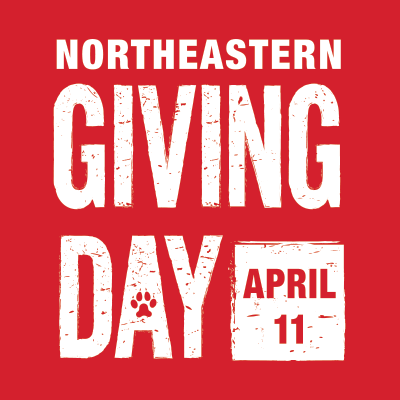 As a borrower at the Northeastern University Libraries, you are responsible for all items checked out on your library account with your Husky Card until the items are returned to the Help and Information Desk. You may be charged for overdue, lost and damaged items. Please notify NUPD at (617) 373-2121 if your Husky Card is lost or stolen. Once you have notified NUPD, you can also call the Help and Information Desk to report your lost or stolen card. As a courtesy, notices are sent the email address listed in your My Account when an item is approaching its due date or is overdue. These emails are a courtesy; it is the borrower’s responsibility to manage their loans and abide by the due date confirmed when the item was borrowed. Log in to My Account to check the current due dates of items on your library account. If you are receiving notices for an item that you think you returned, please contact us as soon as possible by calling (617) 373-8778 or emailing us at borrow [at] northeastern.libanswers.com. How do I report and replace a lost item? Snell Library items are automatically marked lost after they are overdue for more than 40 days. In this process, a replacement fee and all accrued overdue fines will be charged to your library account. To avoid overdue fines, let us know if an item is lost or damaged as soon as possible. Items marked lost may not be renewed. Find out more about lost items and the replacement process. Can I renew an item? If an item is due and you still need to use it, you may be able to renew the item. Find out more about renewals. Can I request an item at the Snell Library? Items that are not available online or in the stacks may need to be requested. The item is currently checked out, and you would like to be added to the waitlist to check out the item when it returns. Items that have been requested may not be renewed. Checked out items are indicated by a red X in Scholar OneSearch. The item is in storage and needs to be collected by library staff. These items are indicated by the location “Storage” in Scholar OneSearch. Please allow 24 hours for retrieval. The item is not available in Northeastern University Libraries’ collections and must be ordered through Interlibrary Loan. These items will not appear in Scholar OneSearch. For Snell Library items, place a request through Scholar Onesearch. Request Interlibrary Loan items through ILLiad or WorldCat. Unfortunately, we cannot fulfill requests for Snell Library items available in our open stacks on Levels 3 and 4. I’m an alumni or visiting scholar—can I borrow from the Snell Library? To borrow materials from the library, register for borrowing privileges. You may also visit the Help and Information Desk with a valid Husky Card to have a library account created for you. Visiting Scholars should bring a letter of offer from the University to claim their library accounts. How can I authorize another person to borrow on my library account? Faculty members and users with disabilities may use the Proxy Borrowing Form to authorize others to borrow in their name.